Unibet is one of the largest online gambling operators in the world. It is involved in online casinos and internet sports betting, poker and bingo. Unibet posted news about its financial situation for the first half of 2015. Unibet has made major investments over the past few years to increase its share of the gambling market in the United Kingdom. The result of recent investments has led to a 21 per cent increase in income in the months before the figures for the first half year were released. Unibet is based in Malta and has almost 10 million clients in over 100 countries all over the world. Unibet announced increases in revenue in several areas of its operations during the first six months of this year. The company’s casino and games sectors had revenues that were at an all- time high level for the company. Income in these two sectors was at almost 35 million pounds. As regards winnings for the first half of the year, it was up almost a fifth and the gross winnings stand at just over 156 million pounds. In June Unibet had just over 600 500 customers in the United Kingdom. 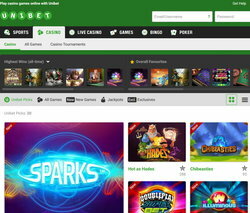 Just after Unibet acquired the gambling group Stan James Online in July of this year, the company’s Chief Executive Officer Henrik Tjarnstrom mentioned that the company’s investments and the fact that it had recently taken over Stan James Online for a reported 19 million pounds would add to Unibet’s growth and development in the United Kingdom. Stan James Online operated internet casinos, poker and sports betting among others which would help Unibet consolidate and grow its share of the British online gambling industry. 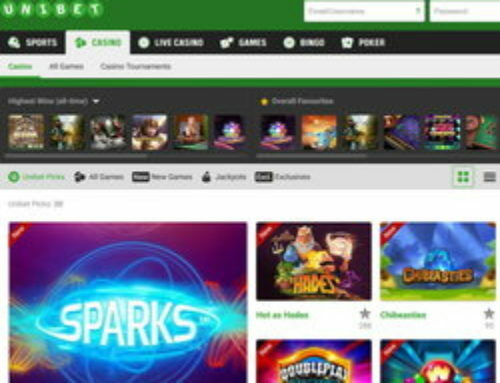 Unibet also hopes to add live casino gaming to the games offered by Stan James Online. 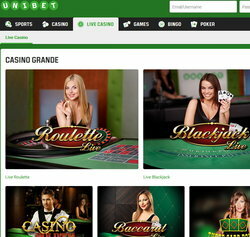 Players in Unibet’s online casino can play traditional casino games like roulette, baccarat, blackjack and poker. There are also more than 250 slot machines. Unibet Casino has a wide variety of over 350 games provided by various gaming developers such as Evolution Gaming, Microgaming and IGT. There are two live dealer casinos “Live Casino Grande” and Live Casino Royale” which are streamed live. Live Casino Grande offers live roulette, blackjack, baccarat and poker from the Evolution Gaming casino studio in Lithuania while roulette and blackjack are streamed from the Netent live casino studio in Malta.